Add a touch of sunshine to your displays with our Sunflower Paper Decorations! 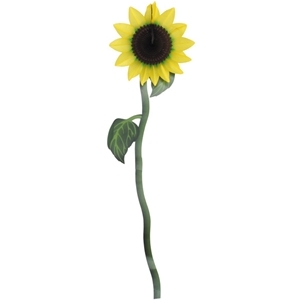 This 44" tall hanging paper sunflower with green stem arrives flat and is easy to unfold and display. They are then easy to collapse and put away for next display, event, party, or celebration.